My name: Pieter de Rooij. 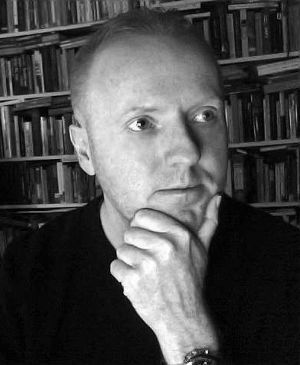 Academic studies: Anthropology, Ethnomusicology (Masters degree in Cultural Anthropology, University of Amsterdam). My graduation thesis dealt with opera as theatre of myth and ritual. After finishing university I was also educated in music library work. 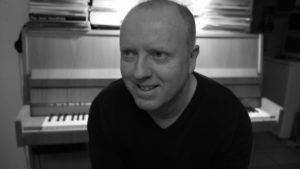 Experience: I worked in Hilversum at the Netherlands Institute for Sound and Vision as music cataloguer and at Radio Netherlands as audio-archivist, information specialist and producer of world music shows. In 2014-2015 I did an interesting project all on my own: I digitized and archived nearly 3000 Master theses (delivered in the period 1948-2006) of the Sociology and Anthropology Department of the University of Amsterdam. In 2017-2018 I worked at Picturae, an internationally renowned company that specializes in digitization of cultural heritage. Autumn 2018 I started working at Bakker Media Center/Trigger, a company in Amsterdam Southeast, specialising in high-quality digitization of all kinds of audio-visual materials (film, video, photo, slide, tape, cassette, lp, 78 rpm record, single, minidisc, DAT etc.) for companies and individuals. Other activities: regular producer of world music programmes for dutch radiostation De Concertzender ; music consultant ; founder of two social network groups: Raga Unlimited (on Linkedin) and Gharana – information and news about raga music and its performers (on Facebook). 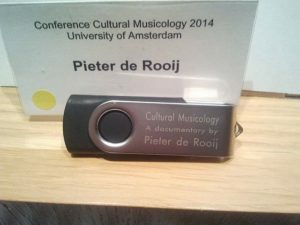 A project I did (see photo above), shared among all participants of a 2014 international conference on cultural musicology in Amsterdam – for more on this, check here. Special interests in music: raga music ; world music ; opera ; Western classical music ; jazz ; film music. Other special interests: literature, film, history, geopolitics and foreign policy. Purpose of my blog: to inform you about my activities concerned with music and – occassionally – other obsessive matters. I would dearly love to listen to the interview you did with Nina Burmi. The audio on Youtube has been muted. I am a student of Carnatic music and a disciple of Dr M Balamuralikrishna. Not sure if you know Ludwig Pesch? I would be grateful if you can assist with a link to a video of the interview that works. I am mesmerized by the singing of Nina and would really love to listen to the interview if possible. Hi, thanks very much for your comment! Oh my, it’s muted, I wasn’t aware of this ridiculous action by YouTube, really disappointing. I will consider an upload on vimeo, imo it’s a very worthwhile interview. And yes, I know Ludwig. Your music knowledge is commendable and remarkable. Once watching a music video of a famous Indian Violinist, I read your comment. Having a little knowledge in table, I felt really worth your comment which shows your in depth knowledge in music. So, I thought to compliment you…Hats-off! Apologies for my (veery) late answer. Thanks for your response and for appreciating my comment – I suppose your remark refers to a video of mine with Kala Ramnath playing the vilambit section of raag madhuvanti in ektaal (12 beat cycle).